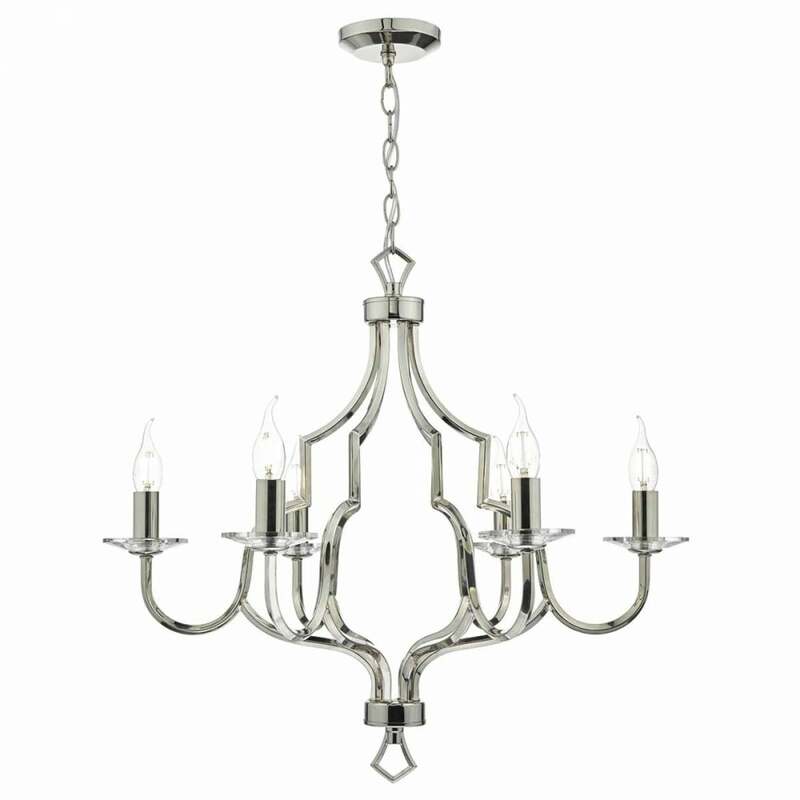 A modern classic design 6 light ceiling pendant in a polished nickel finish with crystal glass candle drips. The light is suspended on a chain suspension which can be shortened at the point of installation for use in rooms with lower ceilings. This would be great for lighting in modern or traditional settings and ideal for living rooms, bedrooms and dining rooms. This light is double insulated for safe use without need of an earth wire.